Winner of the 2018 Western Heritage Award for Juvenile Nonfiction! With the California Gold Rush reaching a feverish peak, it was up to child performers called “Fairy Stars” to keep the miners entertained. As adventurers from all over the world spent hours scouring the land for gold, the children would dance, sing, and act to raise spirits and money—and the most successful among them was Lotta Crabtree. At just eight years old, the precocious girl won hearts across the world with her extraordinary talent for comedy and grew to be one of the wealthiest and most beloved American entertainers of the late 19th century. 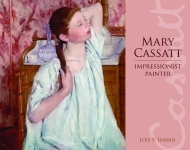 In this unique biography for young readers, follow Lotta’s first years, her struggle to support her family, her spectacular journey to fame by age twenty, and her generous contributions that are still changing lives today. 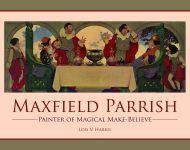 Lois V. Harris is an award-winning storyteller who aims to inspire children to follow their dreams. She graduated from the University of Washington with a bachelor of arts in English and creative writing. She is a member of the Society of Children's Book Writers and Illustrators and works as a writing instructor at Skagit Valley College. 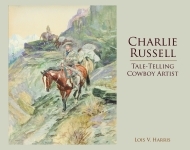 Harris is the author of Charlie Russell: Tale-Telling Cowboy Artist, Mary Cassatt: Impressionist Painter, and Maxfield Parrish: Painter of Magical Make-Believe, also published by Pelican. She lives with her family and two cats in Anacortes, Washington. She first encountered Lotta’s story after seeing the fountain the star had donated to San Francisco. 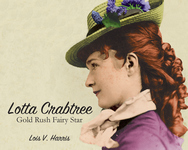 Harris introduces 19th-century performer Lotta Crabtree in her newest biography!